ABOUT - BEST Automatic Sprinkler Corp.
BEST Automatic Sprinkler Corp is a licensed fire protection contractor located in Braintree, Massachusetts. 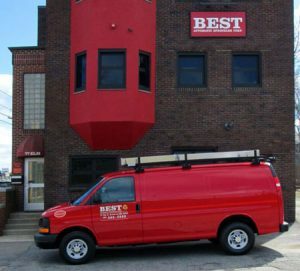 Best Automatic provides fire protection services throughout Greater Boston, the South Shore, the Cape and Nantucket to many of the large hospitals, nursing homes, private schools and colleges. Established in 1984, BEST Automatic Sprinkler Corp. has many years of professional experience providing services including engineering and design, installation, maintenance, repairs, alterations and inspection and testing of fire protection systems. We are focused on the specialized needs of hospitals and academic environments. BEST Automatic Sprinkler has a long history of providing precise and comprehensive fire protection services and documenting required inspection and testing specifically to medical facilities that are accredited by the Join Commission. BEST is certified by the Commonwealth’s Division of Capital Asset Management and Maintenance (DCAM), which prequalifies us to work on state-funded projects, including public K-12 and higher education institutions. Involved in all day to day operations of company and all aspects of on-going projects. Involved in all phases of the fire protection contracting, including design, estimating and project management. Manage crews, executes daily operations of fire sprinkler system installation. Responsible for coordinating activities, maintaining records, and ordering materials required for installations and repairs of sprinkler systems. Fire sprinkler service foremen also inspect the work site and are responsible for job site safety.